By the end of the first half of this year cargo and mail traffic carried by Russian airlines began a shallow climb. The county’s aviation regulator Rosaviarsiya reports that the freight business remained roughly level throughout the first five months, but grew 2.7 per cent in June, totalling 95,200 tonnes of cargo and mail. Notably, only the international segment showed a revival (up 3.7 per cent to 71,400 tonnes), whereas domestic traffic continued to stagnate (down 0.1 per cent year-on-year to 23,700 tonnes), whilst shipments between Russia and the CIS countries suffered an 11.2 per cent dive (2,100 tonnes). In the first six months, Russia’s airlines collectively carried 534,400 tonnes of freight, but the CIS segment declined 20 per cent to 11,700 tonnes, a development factored into the total international traffic calculation of 401,200 tonnes (up 0.2 per cent). Domestic traffic grew by 1.3 per cent to 133,200 tonnes. The first half of 2018 ranking of the largest freight carriers saw Aeroflot’s low-cost passenger subsidiary Pobeda Airlines climb to third place, surpassing S7 Airlines. 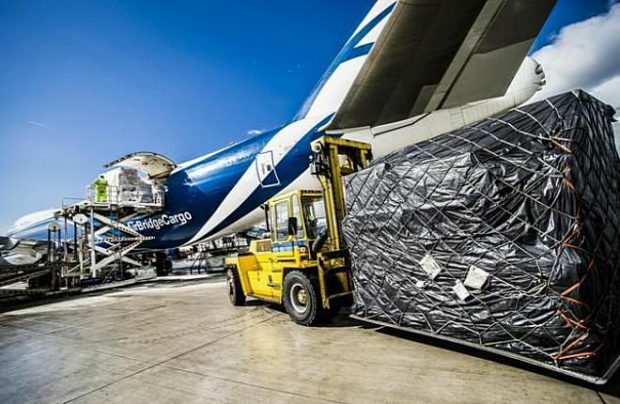 The market leader – AirBridgeCargo, which is part of the Volga-Dnepr Group – reported a three per cent growth to 281,100 tonnes, whereas the remaining three of the top-five largest carriers registered a decline: Aeroflot, down by 2.5 per cent to 101,500 tonnes; S7 Airlines, down by 5.2 per cent to 15,500 tonnes; and Rossiya Airlines, down by 3.2 per cent to 14,000 tonnes. As an indicator to the prospect of a possible cargo market upturn, experts point to the recent launch of start-up freight specialist carrier E-Cargo (Erofey Airlines).